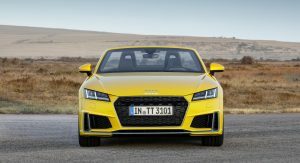 Following the major leak last night, Audi has pulled the wraps off the updated 2019 TT, which is also celebrating its 20th anniversary. 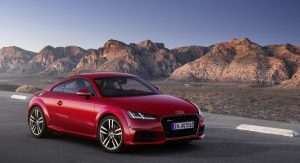 The new 2019 Audi TT has gained a subtly refreshed styling, with the front end now featuring a three-dimensional Singleframe grille and new large side air inlets. 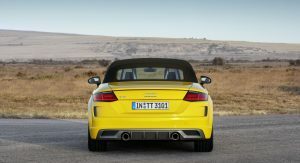 The rear end gets a new bumper that emphasizes on horizontal lines. 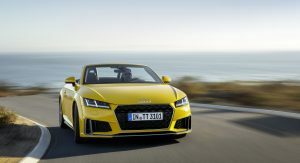 Audi has redesigned the S line exterior package as well; this includes a full-length front splitter, vertical air inlets, a titanium black radiator grille, model-specific side sills and a different rear bumper with a wider diffuser and a pair of vertical air inlets. 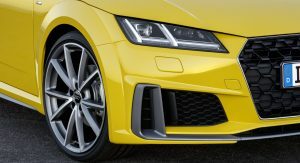 The headlights can be optioned with LED or Matrix LED technology. 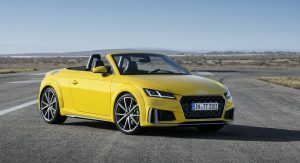 The 2019 Audi TT is also available in three new color options: Cosmos Blue, Pulse Orange and -for S line models only- Turbo Blue. 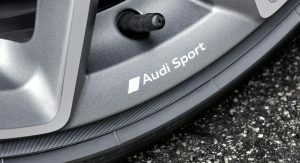 Wheel options include 18-, 19- and 20-inch alloys offered from Audi and Audi Sport. 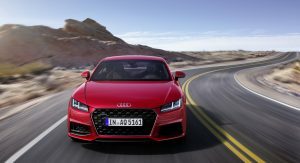 Audi didn’t specify yet if they made any changes in the engine range, apart from adding a particulate filter on petrol units. 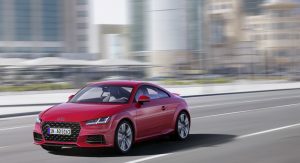 The diesel variant will be most likely dropped due to slow sales. 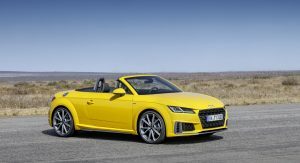 The new 2019 TT will be offered with a six-speed manual as standard and a new seven-speed dual-clutch automatic as an option. 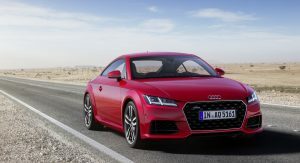 The interior, which remains one of TT’s most praised areas, remains unchanged. 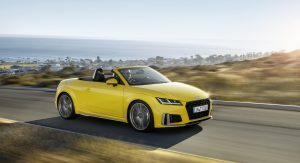 The clean design is helped by the fact that there’s no central infotainment screen while details like the round air vents with integrated controls still look fresh and appealing. 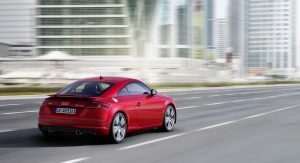 The 12.3-inch Audi Virtual Cockpit offers two modes: the classic view, where the speedometer and tachometer take center stage and the ‘Infotainment mode’ which has content such as a navigation map enlarged. There’s also a new sport display available as an option, showing information on the engine output, as well as the torque and g-forces. 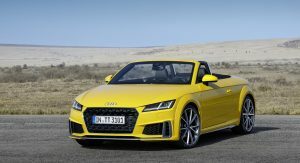 The new 2019 Audi TT will launch in Germany and other European markets during the fourth quarter of the year. 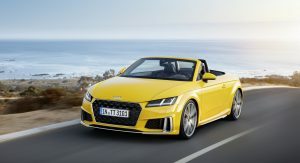 Prices for the TT Coupe start from around 35,000 euros while the TT Roadster will be available from around 37,500 euros in its home market. A needed and more aggressive update. thats why i would choose coupe over cabrio… (if i would have to choose). I think it’s more a case of S-Line or not S-Line…. good eye, i didnt notice that. 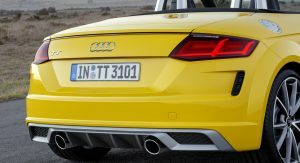 I don’t like those little vents under the taillights. 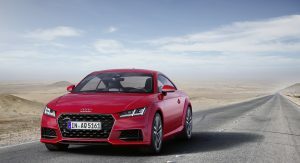 Audi used to redesign the LED’s so that’s a disappointment. They could have found a way to add cooled seats. 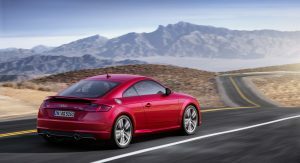 One of the main reasons I didn’t buy a TT was because it seemed to claustrophobic to me. 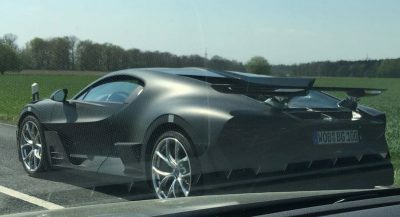 I would have loved a fixed glass roof with a sunshade to just brighten up the coupè. That’s just my thoughts. 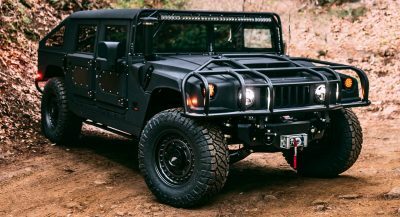 Agree on the lights, though, I am wondering if they are moving to tiered freshening through out the lifespan with headlight/taillight changes to come closer to the end of cycle. Though swapping the LED taillights for the OLED units or at lease as an option on all trims that have S-line would have been nice. 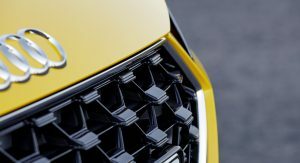 The switch to the grill closer in design to the R8 is a nice touch though! 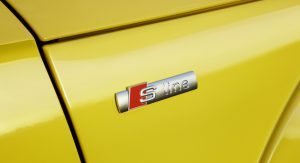 I am not digging the fake vents on the yellow Cabrio version, but I am liking the styling on the red Coupe. The interior however is still one of the best in a coupe in the industry. I love it. Simple and yet modern.